Finding someone with these qualities sounds a bit difficult. The online ads, yard signs, and other promotional materials may look promising at first, but they don’t tell you anything about the quality of the agent transparently. To make this process easier for you, we have listed some tips to find someone you can truly rely on. Normally, agents suggest individuals to visit open houses for finding the right property. But there are even more perks to attending open house events. You can tell a lot about a real estate agent by how they conduct their open houses. 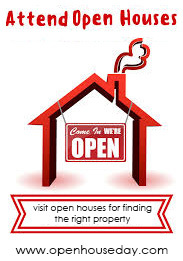 Check online portals to locate open houses in the regions that you are looking to buy. Go to the event and interact with the real estate agents. Is the selling agent informative? Does he/she make you want to know more about the property being sold? Do they seem truly invested in selling the home? Ask yourself if the agent (s) is someone you would want to work with. The seller’s agent is not the only person you can interact with. Try to meet other agents present as well. The more you scout, the more likely you are to find someone that fits your real estate needs. The California Department of Real Estate (DRE) allows you to check the status of a broker or agent very easily. To use this vital tool, visit this link: http://www2.dre.ca.gov/PublicASP/pplinfo.asp. On the page that appears on your screen, enter the full name of your agent or his/her company in the field “Licensee or Company Name.” Enter the city name in “Mailing Address City” to further narrow down your search. The results will tell whether the agent is licensed or if his license has been expired. Don’t forget to go through the comments section to check if any complaints have been registered against him/her in the past. Yes, it is getting a bit cumbersome here. But, don’t forget that successful transactions are preceded by comprehensive research. Ask your agent to give you a list of his/her clients from the past year. You will learn a lot about the working style and effectiveness of your agent if you talk with recent clients. The Next Steps: After you have selected a trusted professional using these tips, it’s time to discuss your expectations in the most precise manner possible. Make sure you are both on the same page. Part of this includes signing an agency disclosure, a vital step you must not ignore. If you are looking for open houses in California, don’t forget to visit OpenHouseDay- the best resource for open houses available: https://www.openhouseday.com.